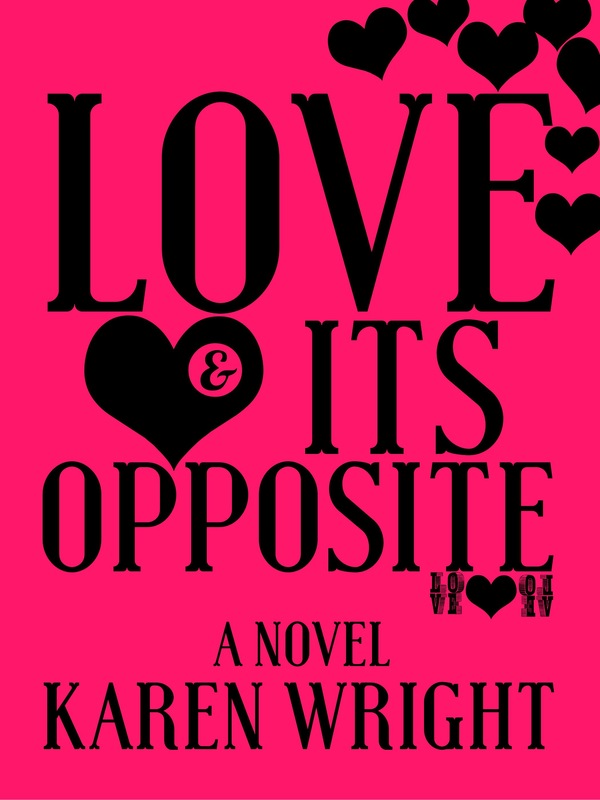 The book I’m working on right now is a novel titled Love And It’s Opposite. Here’s a little glimpse inside the first page as well as the cover reveal. For as long as I’ve been allowed to watch it, my favorite movie has been When Harry Met Sally. The film is rated R, which means that, technically, I wasn’t supposed to watch it until I was seventeen. I might have been about twelve the first time I saw it and I fell in love. Something about the way the two people continue a single conversation for years, stopping to eat, sleep, and date other people without missing a beat. That’s the kind of witty repartee I want to have. For me, it doesn’t matter if the characters end up married and in love. Or if they just stay best friends. Just to have a person that you can talk to like that. Well, that must be cool. At least, that’s the reason I say I like the movie. I think the real reason it’s my favorite movie is that I’ve always been fascinated with the story of how couples meet. Like when Brad met Angelina on a movie set and although she was the consummate single mother with a bunch of fatherless children, the woman other women say can never and will never get a man, within weeks, Brad had left his wife, adopted all the kids and was playing the role of Dad. Like when Romeo Met Juliet and couldn’t leave her at the balcony. Like when he drinks poison even after only knowing her a short time. Because the idea that he can continue without her is absurd. Like when Joe Met Lavern. I bet you don’t know that story. I don’t either. Joe and Lavern are my parents but I don’t know how they met. I know it happened since I exist. But I also know my mom hates him now. My father, she calls him. I don’t even get to call him dad. Her hate is one of the few constants in my life. But there must’ve been a time when she sat next to him and held his hand and let him kiss her. A time when she felt something other than ice running through her veins when he spoke. When Joe Met Lavern. Now that’s a movie I’d like to watch. She refuses to talk about him with anything other than venom as her accent, like keeping the bad words on her tongue is an antidote. Protection, so the poison she’s nurtured in her heart for him, won’t kill her in the process. Over the years, I have gathered little snippets, a carelessly tossed phrase when Auntie comes to the house. Words of caution spoken firmly by my grandmother. Rumors, hidden in taunts when us kids from the neighborhood gathered to play in the common behind our row of houses. But the details of when Joe met Lavern? Well, I’ve been drawing a sketch for a long time. And now, I am starting to color inside the lines. I’m not ready for my own love story. Or its opposite. But love has a way of sneaking in quietly, swirling around your legs without your noticing, rising like the vapor that comes from a fog machine, getting thicker and taller until it’s covered you over and no one can see what you look like anymore, having to be content with the memory of what you used to be, even if that person has now disappeared. I’ve heard the same thing happens with obsession. The book isn’t finished yet. I’ve been working on it for a while now and it’s not done but I hope that by releasing the first page, you’ll be interested and put some pressure on me to complete and publish it because you can’t wait to read it. Feedback appreciated! Don’t worry about being kind. Just be honest. The book is still in the editing stage so I can take any and all constructive commentary. Good intro. Makes me want to know what brought Joe and Lauren’s love story to a halt as well. Lavern* stupid spell check . That’s ok. I know what you meant. Thank you!! Can hardly wait to read this story! Pressure applied!! Ooh thank so much Sarah!